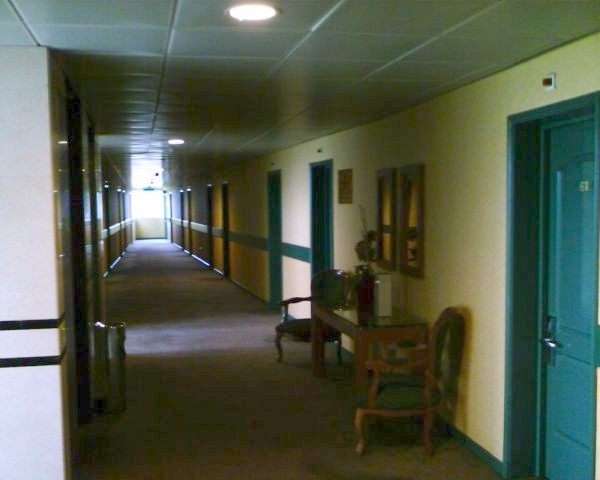 The hallway at the hotel. The whole thing is about 200 feet long. It was a six-story building. Why the numbers? Well, there were 16 wireless access points. They were set up with 5 on every odd floor plus one extra for the lobby. I was located on an even floor, so I saw 10 access points. The interference was so bad I couldn't get a connection.